The time is flying by and I am still playing catch up. I am not even going to apologize - because that is getting old for me and for you! I am just going to keep plugging along and sharing as best I can. 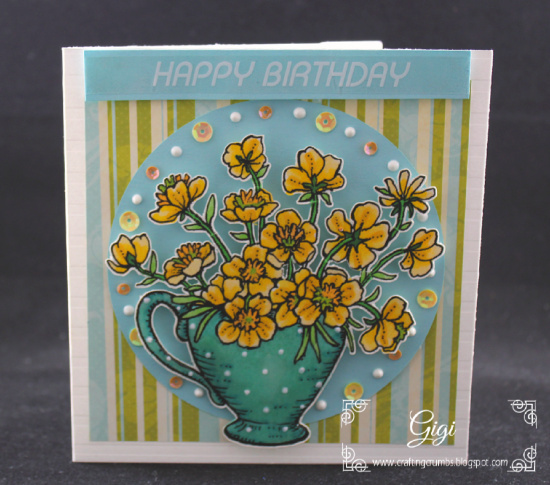 Megan's card was using a wildflower design from Crafty Vectors. 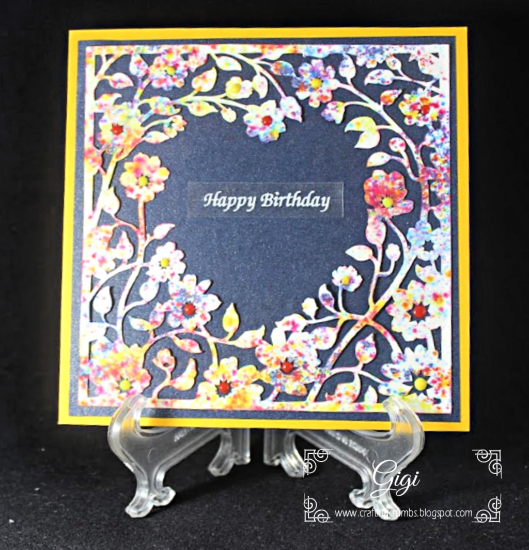 Dominic has long been one of my favorite designers and I have used his floral framed designs in the past many times. They are interspersed all over my blog! 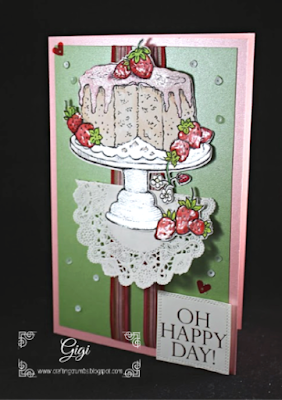 So for this card I cut out the design on a white card stock and then I sprinkled it with Nuvo Shimmer Powders and lightly spritzed with water to get the colors to explode. I just love the effect! 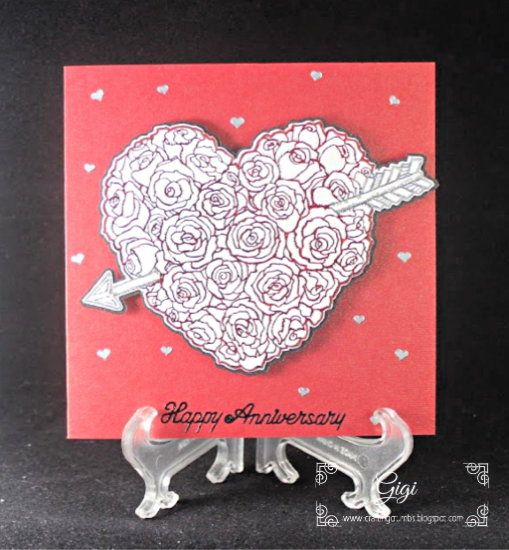 And for their anniversary card, I chose a beautiful image from Power Poppy - Follow Your Heart (I am clearly on a heart theme here!!). 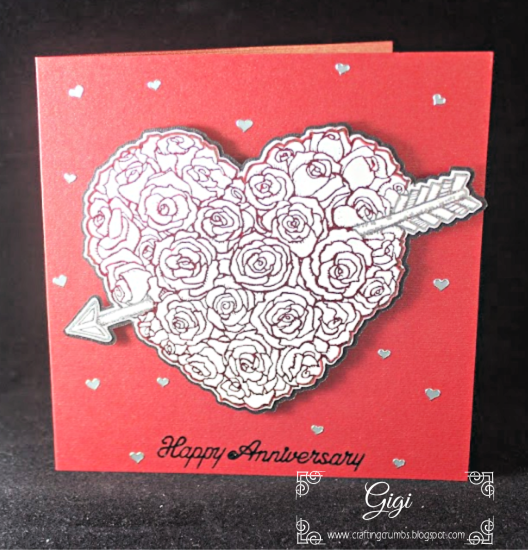 I printed it on the mono laser and foiled the heart in red and silver. I am going to try to keep these posts short so I can catch get more of these "older projects" up there to share and hopefully inspire you to be creative too! 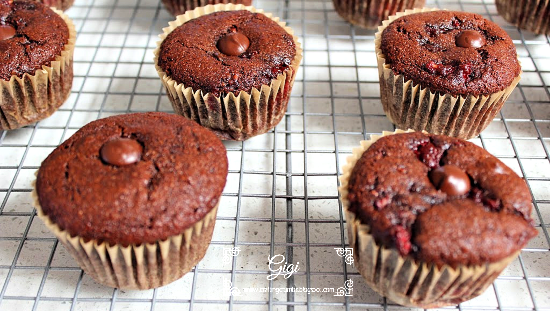 Dark Chocolate Raspberry Muffins - gluten free and no processed sugar! These are so good and so moist and made even better because they have no processed sugar. I have made these several times and they are delicious every single time. 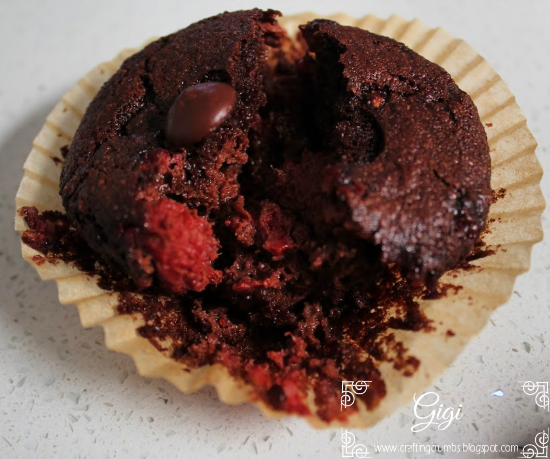 There is nothing like the combination of raspberries and chocolate - YUM! 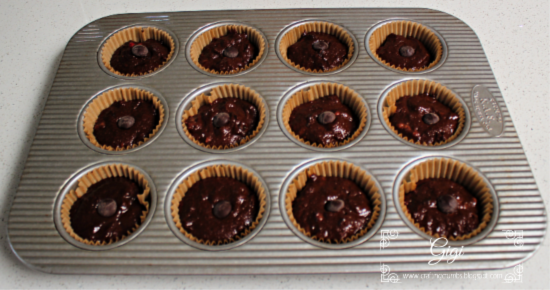 Preheat the oven to 350 and line a muffin pan with parchment liners. Set aside. Mix the almond flour, cocoa powder, ground flaxseed, baking powder, baking soda and salt in a blender and pulse a few times until all of the ingredients are mixed well. Pour this mixture into a medium bowl and add all of the remaining ingredients except the chocolate and raspberries. Blend with a hand mixer on medium speed for about 39 seconds or until creamy and smooth. Scrape the bowl with a rubber spatula to be sure all of the ingredients are well blended. Fold in the raspberries and chopped chocolate or chocolate chips just until mixed. Using an ice cream scoop, fill the lined muffin cups with one scoop of batter. They should be about 3/4 full each. Bake for 24-26 minutes or until a toothpick inserted in the center comes clean. 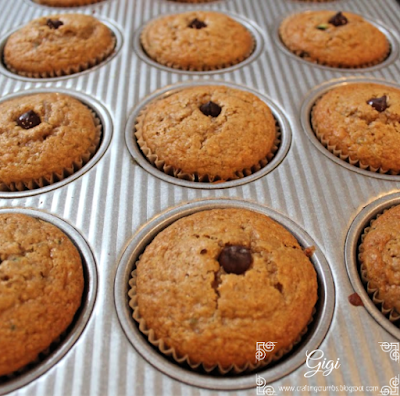 Let the muffins cook in the pan for 10 minutes, and the place on a wire rack to finish cooling completely. My neighbor celebrated his 65 birthday in quite a memorable way. One of his sons is training to become a commercial pilot up in Alaska, and he flew down for the day to take his Dad (and each member of the family) up in his plane for a short flight over the city. What fun it was for all of them and what a great way to celebrate a landmark birthday! 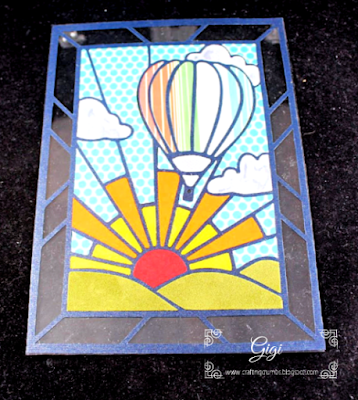 I love this stained glass image. The pattern was traced and cut with the Silver Bullet Platinum. With the new two tool capability, I was able to "write" the greeting and cut out the label around it without having to change anything. What used to be a painstaking task to switch out the pen for the cutting blade all while trying not to move the image, became effortless with the two tools in place at the same time. And it was quick too - I loved it and plan to do a lot more! Acetate was used around the picture to add to the look of stained glass. and it was totally appreciated by the recipient! It's been one of those difficult periods of time when it seems that too many wonderful people in my life are passing away. I am grateful that I have the faith to believe that they are now in a better place, but I still with that those who loved them most could have more time with them. I suppose that is the very human side of grief and loss, right? So these two cards were to remember a very loved and loving wife who brightened the community of Oceanside, and a very dear and loving husband of a special cousin who passed so suddenly and unexpectedly. Nothing makes the loss easier I am convinced, no matter what the circumstances. 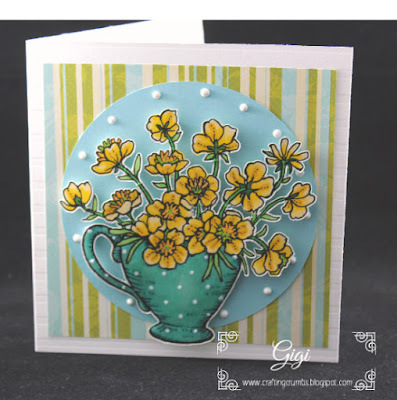 I kept both of these cards very simple with just a little embellishment. especially when I need them to make a statement. and are beautiful in their simplicity.. 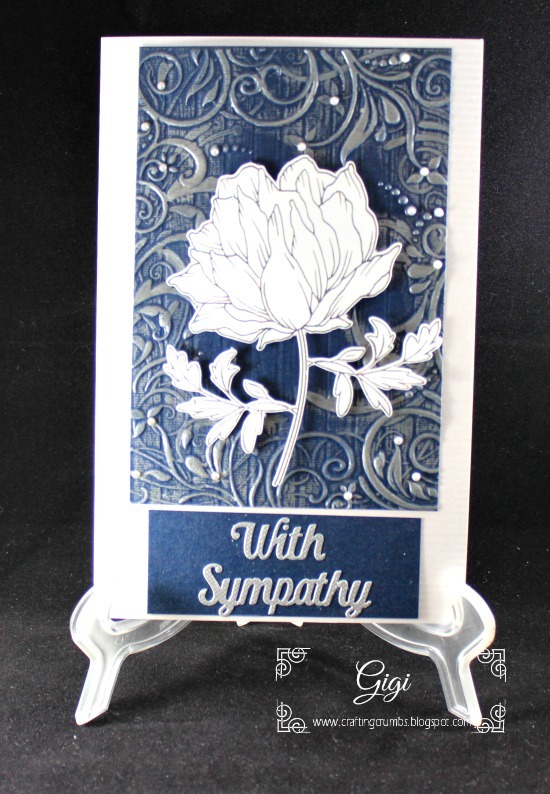 I hope these cards brought comfort and love to those left behind......... Pin It Now! 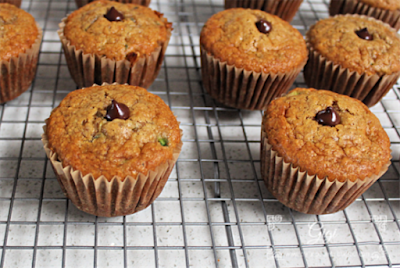 Zucchini Chocolate Chip Muffins - gluten free and delicious for all! Preheat oven to 350. Line a muffin pan with parchment liners and set aside. In a high speed blender, place the oats, flaxseed, baking powder, baking soda and salt. Blend on high for about 20 second or until the oats are broken down into a flour. 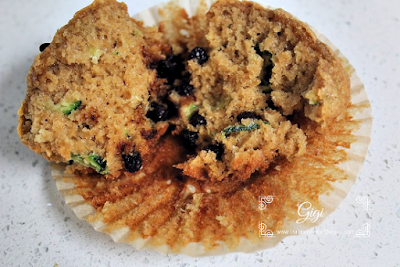 In a separate bowl, mix all of the remaining ingredients except the zucchini and chocolate chips. Add the blended flour ingredients and mix again just until blended - about 20 seconds on the medium speed of a mixer. Fold in the zucchini and chocolate chips with a spatula. Using an ice cream scoop, fill each lined muffin cup with the batter (the ice cream scoop gives the perfect amount for 12 muffins). They should be about 3/4 full. 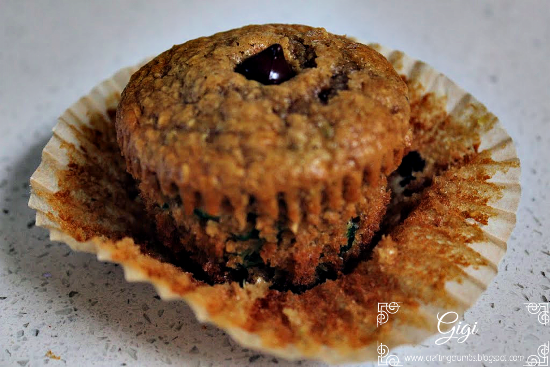 Bake for 15-18 minutes or until a toothpick inserted in the center of the muffin comes clean. Remove from the oven and let sit in the tin for 10 minutes. Then remove from the tin and finish cooling on a wire rack. These keep very well and also freeze well, if they last that long! A Trio of Birthday Cards - Power Poppy inspired! I seem to be totally hooked on Power Poppy images of late. These three cards are all thanks to the artistic talent of Marcella Hawley who is the genius behind Power Poppy. I think I have every one of her images and I am eager to enjoy all of them in time! These three images were all print and cuts using the SCAL Pro 5 software and the Silver Bullet Platinum that features an awesome camera for doing print and cuts. 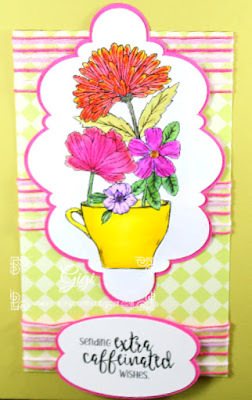 It makes what used to be a tedious endeavor a quick and fun project with instant results! 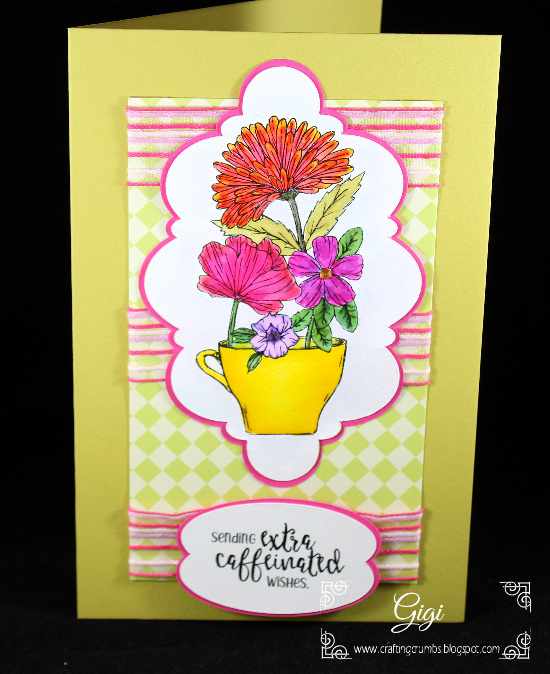 The first card spotlights the "Wildflower Mini" image. I used Spectrum Noir alcohol markers to color this cute image. It went to one of my very special friends (I am so blessed to have such amazing and wonderful friends in my life). 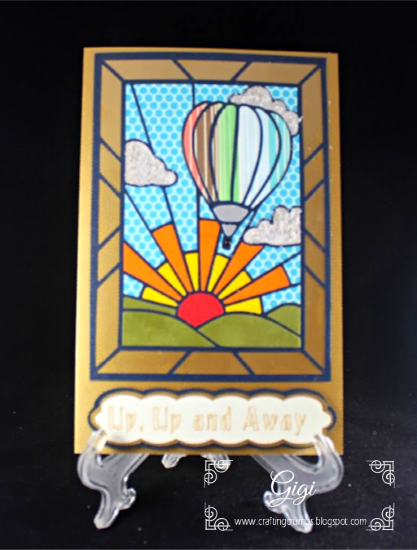 from Deco Foil. 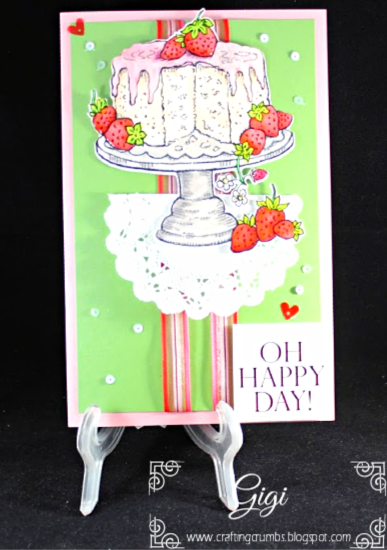 The stamped greeting is from Pretty Pink Posh. the jar is covered with Glossy Accents to give it that "wet" look. A real paper doily accents this luscious looking cake pedestal. 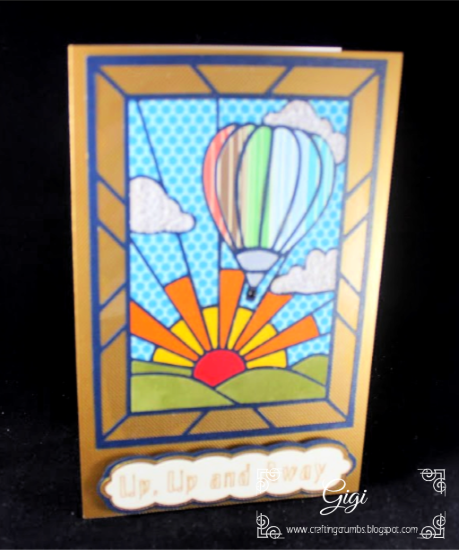 The greeting is a Gina K Foil Mate and cut with one of her dies and foiled. Nuvo Clear Gloss. The sequins are from 28 Lilac Lane. 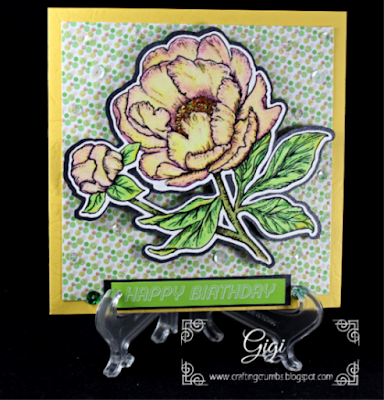 And the last card uses Spectrum Noir colour blend pencils to highlight the image of "Irresistible Peonies". This was for a very special friend who helped me when I first moved back to CA from Arizona and spent a lot of time with me after I lost my father back in 2004. She was a special angel in my life then, and remains one now. I love her dearly and am forever grateful for all she did for me. and the card is adorned with sequins from 28 Lilac Lane. These two cards were meant to bring some love and care to the lives of two very special people. One friend was facing a cancer diagnosis (caught early but still life changing in so many ways) and another had just lost her older daughter - totally unexpected. 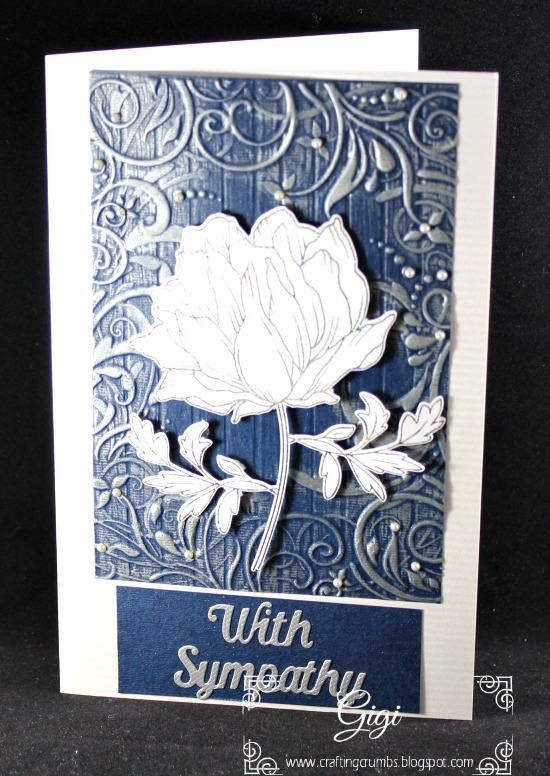 This "thinking of you" card was for my friend courageously fighting cancer. She is doing well and we are all so grateful. 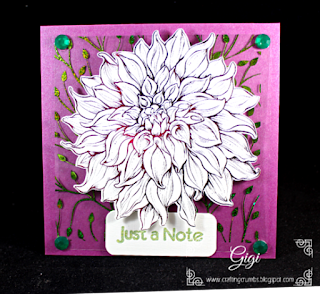 The beautiful flower is a digi image from Power Poppy called Dahlia. 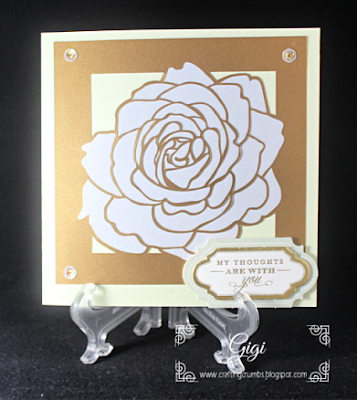 I love how easy it was to foil it and it looks so beautiful with just a few extra touches. and is held in place with simple rhinestones that hide the glue! versatile for any number of occasions. 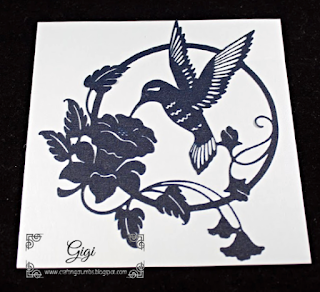 I love using the hummingbird and flower for special remembrance cards because it is so beautiful. because it is so detailed and elegant. It is cut out of Paper Temptress incandescent. 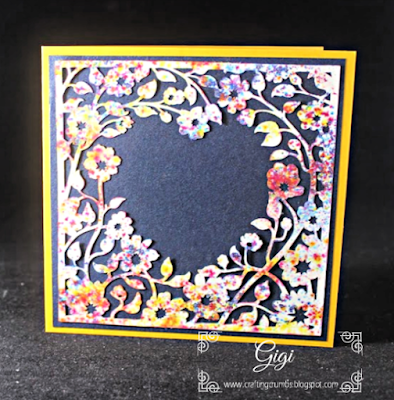 from Paper Smooches for the finishing touches. 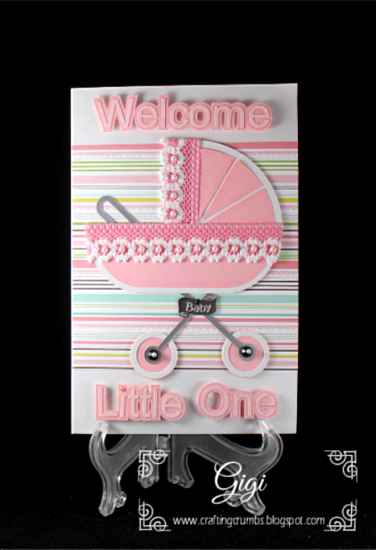 Baby Cards - Celebrating a girl and a boy! 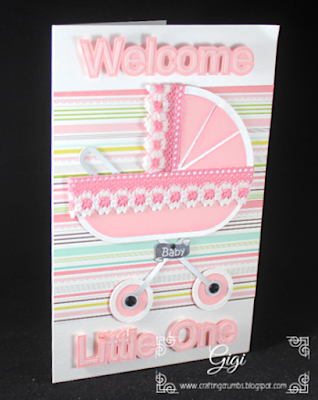 I love making baby cards and I don't get to do them often. So what fun to actually have one of each to create in the same month. I had a great time trying to make them as special as I could. The baby girl card was for the precious little granddaughter of my neignbors who have become such dear friends and welcomed me into their family. How lucky am I? This is their second grandchild and first girl. Their first is her brother, Merritt, who I have spoken of here and who I love almost as much as my own grandson. He has stolen my heart and so has his precious sister. They came over here when she was only a week old and I got to hold her while Mom and Dad took a break. Good thing the grandparents were gone for the evening or I would not have had that much time with her! It was so special. I am not sure what it is about holding a baby, but it is truly the most wonderful feeling in the world. I am so grateful to have been able to share in their joy and their lives. The cutting file for this card is from Birds Cards. 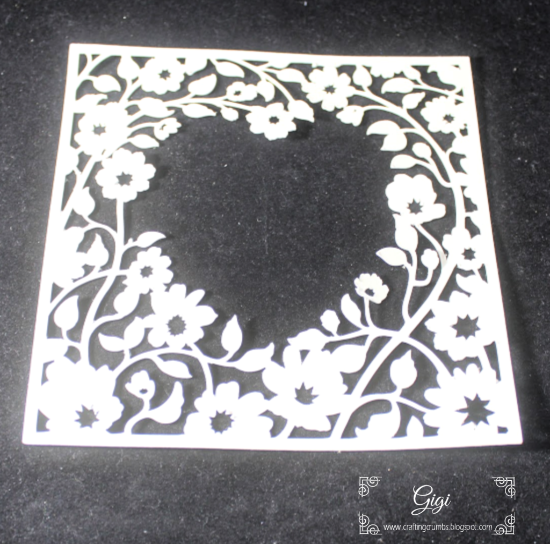 Her designs are detailed and cut beautifully. I use the Silver Bullet Platinum to easily cut the detail out of card stock from the Paper Temptress White Diamond and Pop Tones. The background paper is from Echo Park (I hit my neglected stash box!) and I love how it all came together. 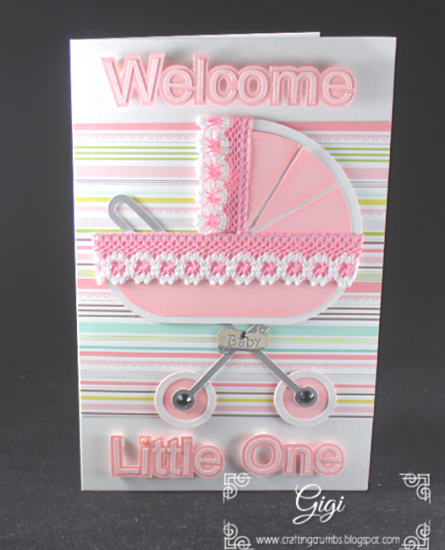 border the buggy and make it more feminine. I really love it! I was in a bit of a rush to make the card for the baby boy so I only have one photo - but it captures the spirit of celebration. This is for someone special who serves on the board of Oceanside Boys & Girls Club with me and he runs a local Buffalo Wings. He and his wife are expecting their first child, a precious little boy. We are all so very excited for them. I am not even going to make excuses for not posting in a while because it won't change anything. But rest assured I have been making a LOT of cards and doing a little baking and with fall around the corner the baking and cooking will increase. I am so ready for fall! So I am pushing myself to get back on track. :) And I have some fun things to share that you will hopefully enjoy. So stay tuned! I have been working hard this summer to try new things and get out of my comfort zone. I continue to work on my "coloring" -whether it be markers, pencils or watercolor - I want to enjoy it more and worry about how perfect it isn't less! I plan to carve out more time to practice. 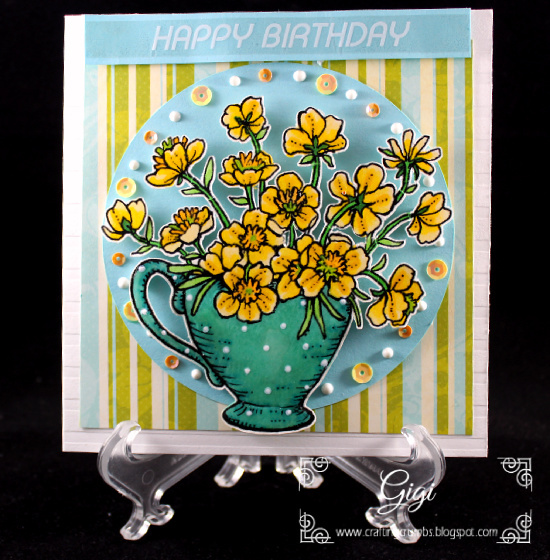 I love this buttercup design from Power Poppy. 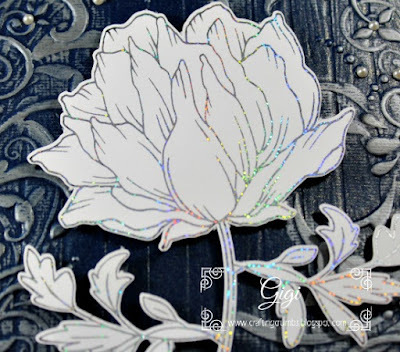 This was a digi image that I printed on Paper Temptress cryogen card stock that has a lovely sparkle and handles markers so well. This actually started as a challenge for Power Poppy - to use circles in the design. But I finished it way after the challenge was over. No surprise there! I am however glad I did it because it helped me think more creatively and I want to challenge myself more. 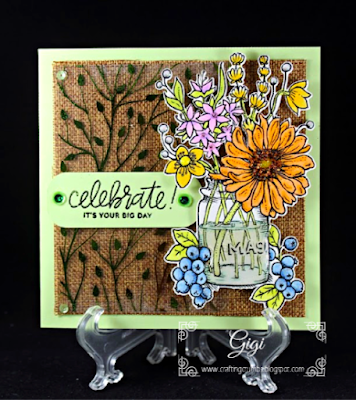 I like how easy it was to make the simple coloring have a dotted pattern, and then the glossy accents gave it a nice shimmer. by the Silver Bullet Platinum. Glittered markers were used to add sparkle to the center of the flowers. And the sequins added that final touch of interest. I love the final result and hope my friend did too! I was a little hesitant to try this recipe because I was not at all sure this would bake up well - but it was a nice surprise. I love that I could get it all ready the night before and simply place it in the oven in the morning and have a delicious breakfast treat. I liked it best served warm out of the oven and it reheats beautifully. I hope you try it and enjoy it as much as I did. Grease a 9x13" baking pan and set aside. In a medium mixing bowl, whisk together the flour, baking powder, baking soda,sugar and salt. Add in the beaten eggs, buttermilk, lemon juice, lemon zest, butter,vanilla paste or extract and the citrus extract (optional). Beat with a mixer until blended. 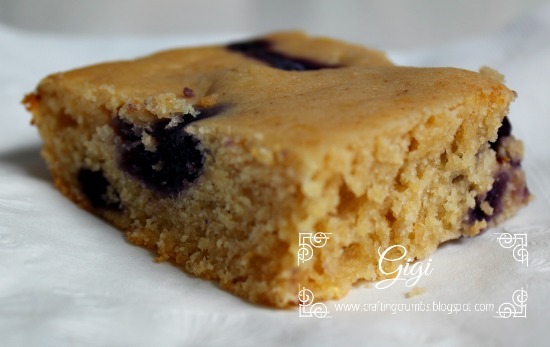 Gently fold in the blueberries with a rubber spatula. 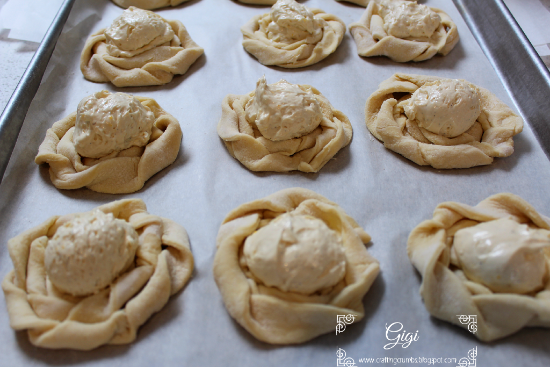 Spoon the dough into the prepared baking pan. Cover with plastic wrap and refrigerate overnight. In the morning, remove the pan and place on the counter while the oven is warming. Preheat the oven to 350 °F. 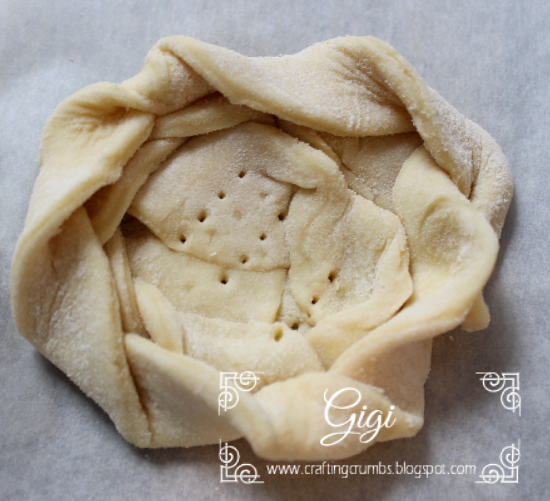 Bake for 25-35 minutes, or until a toothpick inserted in the center comes out clean. 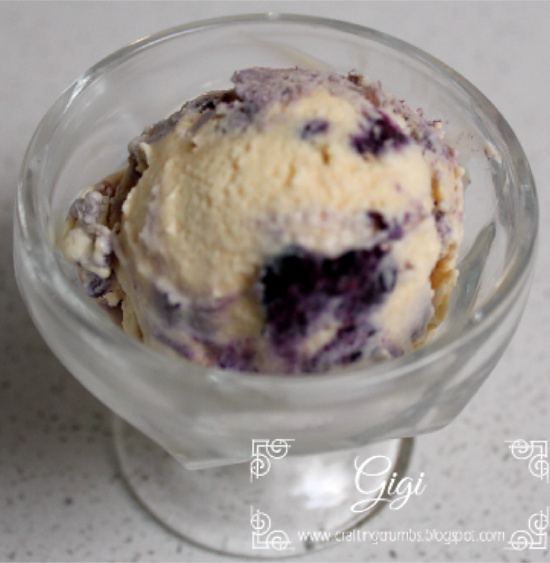 Just look at those blueberries bursting with flavor - don't they make your mouth water?? OMG - these are so delicious and a treat for a special occasion or just because you want to spoil yourself or someone else! I made these a couple of months ago and totally forgot to post the details. Shame on me. These are just TOO GOOD to keep to not share and be sure everyone has the chance to try them. 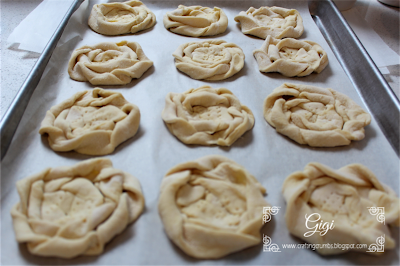 I have not used puff pastry often and was a not sure how difficult it would be to make these shapes, but it was not difficult at all. 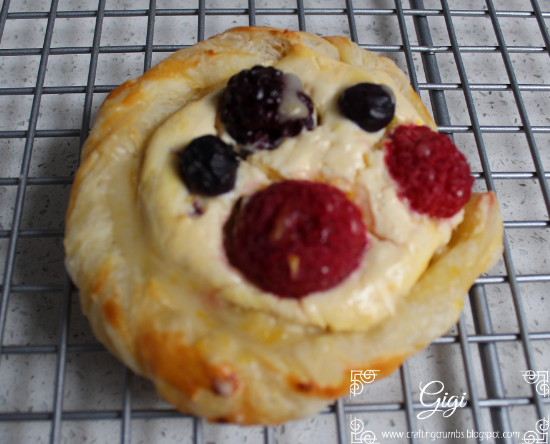 And the puff pastry is very forgiving which makes it easier to cast any fears aside and go for it!! I hope you will try these soon - I promise you will NOT be disappointed. Thaw puff pastry according to package directions. Depending on the temperature of your kitchen it should take about 30-40 minutes. You want the dough to still be cold.Preheat the oven to 400 degrees with a rack in the center of the oven. Line a half sheet baking pan (my favorite size for many things!) with a parchment sheet and set aside. I used a 1 T. cookie scoop to fill the center of each pastry. It was the perfect amount and there were no leftovers in the cream cheese bowl (darn!) 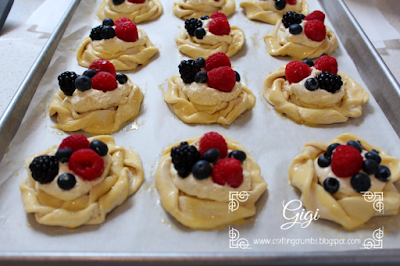 Then I placed raspberries, blueberries and one blackberry into the cream cheese. As I did this I had visions of the cream cheese oozing out from the danish and becoming a runny mess in the oven - but my fears were NOT realized. Make the egg wash, by whisking the egg and tablespoon of water. Brush over the pastry part of the danish for added golden browning. It makes them look beautiful. While the pastries are baking, blend the glaze ingredients. I used less powdered sugar so my glaze was not as white and didn't show on the danish when I drizzled it - but the taste was awesome. Be generous with the glaze. That lemon freshness takes them over the top!! Let them cool completely to room temperature so the cream cheese can completely set. Then drizzle with the lemon glaze and serve. These are SO good and worth every effort. 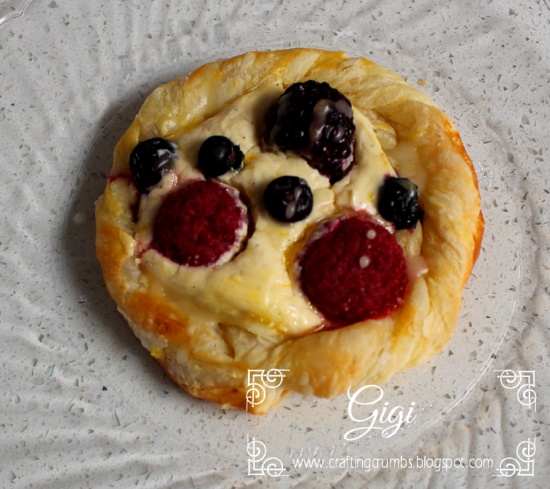 And once you make them once, you will want to add them to the breakfast menu for any occasion - especially if you just want to indulge a little! It has been unseasonably warm here in Oceanside, even on the coast. But I am happy to say that after a 2 1/2 year fight with the HOA here, I finally have air conditioning! I will just say that the last week has been much more bearable with cool air blowing through the condo. I am so very grateful...phew! It was worth the struggle to finally be able to live comfortably when the temperature rises here. Another thing that makes life more bearable when the sun is blazing is ice cream. Yes - a year round treat for sure - and although it can be an indulgent sweet, it becomes a bit of a necessity in the summer. Right? And this no churn method that I turn to often, keeps the electricity off and produces the most delicious, creamy spoon licking dessert in no time at all! Mix the arrowroot starch (or cornstarch), and water together in a very small bowl. I like to use a custard cup. Set aside. Combine blueberries and sugar together and heat in a small saucepan over medium low heat. Stir constantly and break up the blueberries as they heat up and start to burst. When the blueberries have released some liquid (when you gently smash them with the spoon), add the cornstarch/water mixture. Increase the heat to medium and stir well for about 3 minutes. Remove from the heat and let the blueberries cool completely. The mixture will thicken as it cools. (Putting it in the refrigerator will help it cool down quicker). 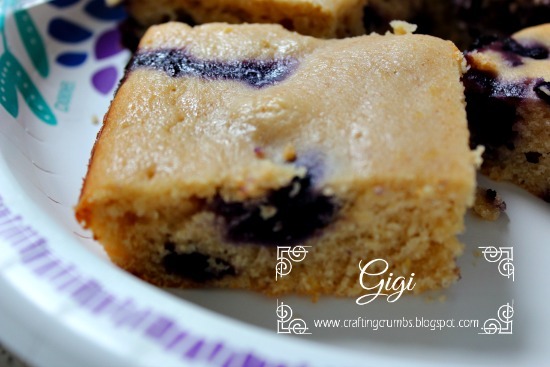 Before or after cooling, the mixture can be placed in a strainer so you just have the blueberry gel. I left it as is because I like the blueberry pieces! Mix the flour, brown sugar and cinnamon together with a fork. Add the melted butter and mix again until a small clumps form. In a small bowl, combine the sweetened condensed milk and vanilla bean paste. Set aside. In a medium-large bowl, beat the heavy cream on medium high speed with a stand or hand mixer until stiff peaks form, about 3-4 minutes. Add the sweetened condensed mixture and beat on low until just combined, or fold gently together until well mixed. Spoon about half the ice cream into a freezer container. (I use the Tevolo tub). Spoon about 1/4 c. blueberry sauce and half of the crumble mixture and gently swirl into the ice cream with a knife a few times. Repeat with the remaining ice cream, 1/4 c. sauce and remaining crumble making another layer of swirls (don't insert the knife all the way down - just swirl the top layer). Freeze until firm. at least 5-6 hours. 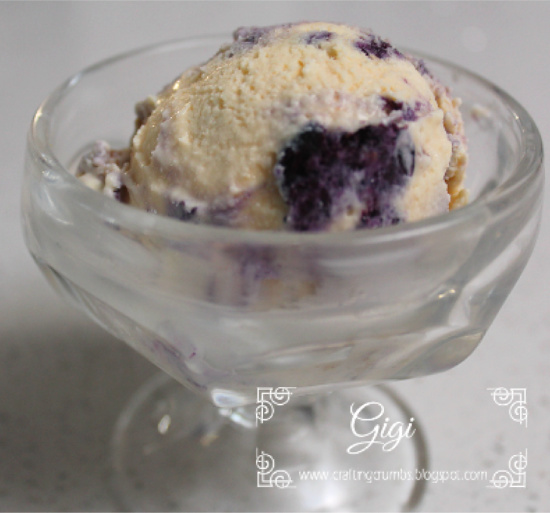 Save the remaining blueberry sauce to serve over the ice cream. Several weeks ago a dear lady left this earth and the world is not quite as bright as it was. She was like a second Mom to me when I was growing up, and I adored her. Her family and mine lived on the same block and I think I spent as much time at her home as I did at my own! Her oldest child was my best friend from the time we were 3 years old. All of these years later, she is still one of my dearest friends. How lucky and blessed am I? My girlfriend should have been my mother's daughter. My Mom loved that she was so career oriented and a real entrepreneur. My mom started a children's clothing store pretty much on her own in the 1940s downtown here - and it was unheard of then for a woman to have her own business, let alone have it become successful! My girlfriend's mother was a teacher before her children were born, and then stayed home with them as her family grew. She was a homemaker in every sense which I loved as well in later years. She spent hours knitting and doing needlework, especially needlepoint, which was also one of my favorite things to do. She was an inspiration to me and I loved her dearly. Sympathy cards are not anything I enjoy making, but this one was especially different. 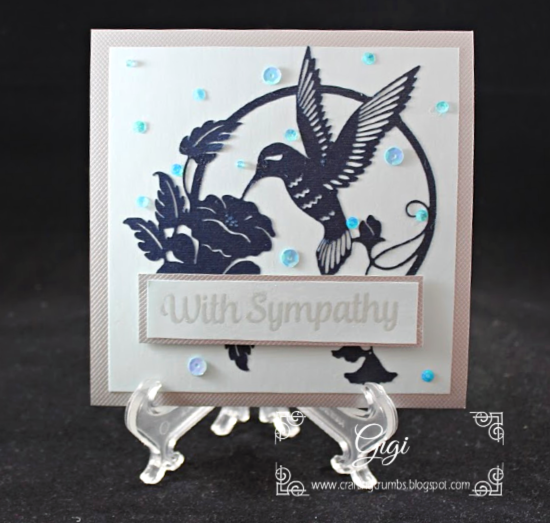 I used a 3D embossing folder from Crafter's Companion coupled with a beautiful digi image from Graciellie Designs.I wanted something simple and elegant and I think I achieved that. 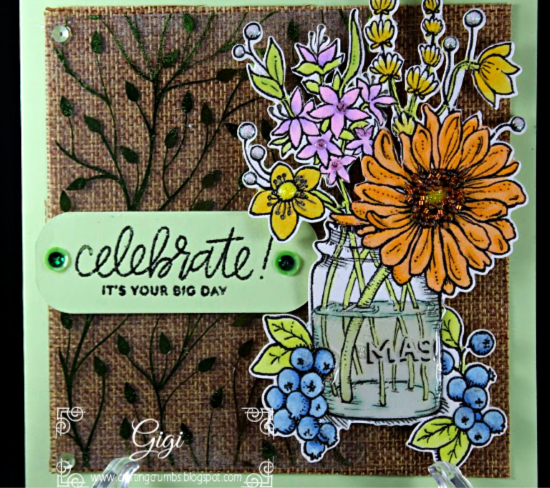 Here is a closeup of the beautiful digi image from Graciellie Designs. and then foiled it with sparkling silver. You can see how that foil reflects the light beautifully. 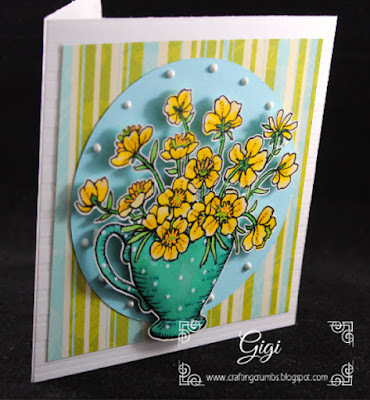 from the embossing folder and added small white pearls. Again, I am painfully reminded to take time to tell my family and friends how special they are to me and to cherish every moment of every day. Life is an amazing gift, but it has an expiration. I am so far behind on posting - good grief! So am going to try to get back on track. I have had some health challenges (don't we all) but will make a concerted effort to get some consistency back. I have been continuing to make cards and bake a little and take photos, but I just have not converted all of those efforts to posts! I am committed to getting back on track. This card showcases one of the newer designs from Graciellie Designs. She has several new ones with coffee themes and I love them all. And it's perfect because my neighbor absolutely LOVES coffee in a way that most of us do not experience. When she has a cup of coffee, she drinks it out of a little cup and you can bet it's an espresso - simple and pure. We went to a local coffee shop the other day and she ordered 4 shots of espresso!!! I would have been bouncing off the walls if I had ingested that! OMG!! I love coffee, but I love the lattes and macchiatos and even a simple black cup of coffee - but on the light or blonde side. I guess that makes me a bit of a wimp, but I am not a dark roast fan. Anyway...... when I saw the saying "saying extra caffeinated wishes" along with the coffee cup full of flowers - I knew it was the perfect combination for her! 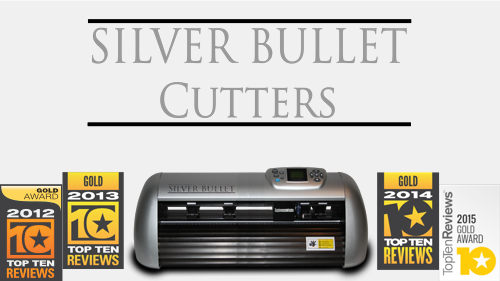 with a laser printer and cut out with the Silver Bullet Platinum. In the closeup, you can see some of the watercolor detail. I used Zig Clean and Color brush markers on watercolor paper. then with Glossy Accents to make it appear more real. I love the vividness of the colors.